Injectable fillers provide physicians with a number of different options to address various aesthetic concerns. 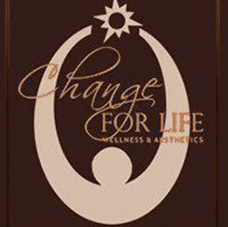 Dr. Wanda Dyson is pleased to offer several different injectables, including Juvederm, a popular option among Washington, D.C. patients at Change for Life Wellness & Aesthetics. Juvederm is actually the name used to describe a group of injectable fillers that practitioners use to contour the face and eliminate fine lines and wrinkles. These injections are created from hyaluronic acid, a natural substance that is found throughout the human body. Hyaluronic acid has the ability to retain water in a balanced volume. That ability is what makes these types of injectable fillers so powerful in replacing moisture and tissue loss that occurs over the course of time. Juvederm injections are in gel form, which allows for smoother and more malleable applications. How long do the benefits of Juvederm injections last? Each patient will react differently to any type of injectable filler, and no two individuals will have the exact same set of results. However, on average patients can expect to see results that last between nine months and one year following the injection. After that point, additional injections that are approximately half of volume of the original injection are required to maintain the effects, which include the reduction of moderate to severe wrinkling and folding of the skin. One area that commonly responds well to Juvederm is the nasolabial folds (the lines that run from the nose down to the corners of the mouth, known as smile lines). What can patients expect when receiving Juvederm injections? As with all cosmetic procedures, treatment begins with a comprehensive physical assessment and thorough health history. Once the patient and his or her physician have determined that Juvederm would be a good option, an appointment will be scheduled to receive the injection. Juvederm is injected into the skin using a very fine needle. Some injections contain a small amount of lidocaine to provide anesthetic benefits, while practitioners might also choose to numb the area with a different medication prior to the injection. Patients are advised to avoid exposing their skin to sunlight or heat within the first 24 hours after the injection. Strenuous exercise and consuming alcoholic beverages is also discouraged during the same period of time.